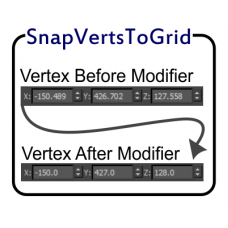 SnapVertsToGrid is a geometry modifier that moves all vertices in the object to the closest grid point based on the Grid Snap setting in the modifier. 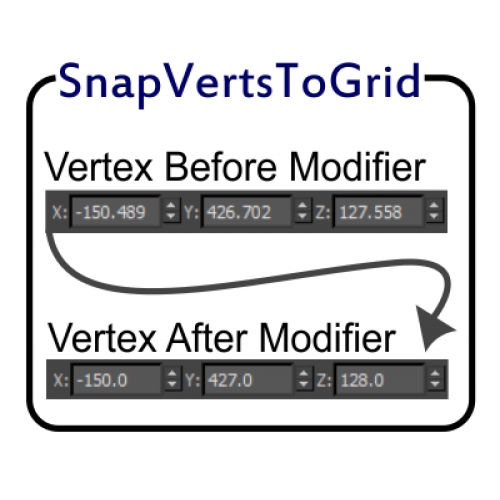 See notes and docs on SnapVertsToGrid. 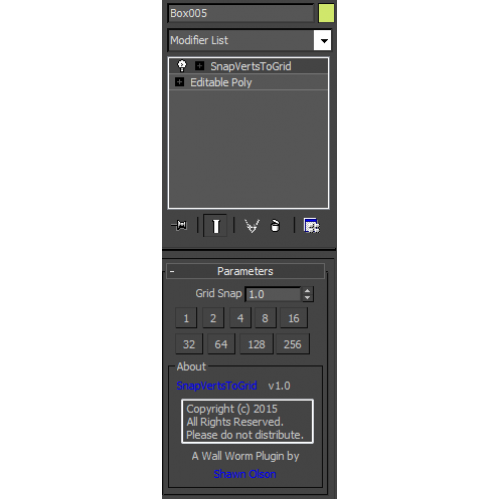 Note, if you have 3ds Max 2016 Extension 1 or later, you should consider the Brushify modifier instead since it includes Grid Snapping along with other brush-related utilities.